« Are House Republicans already Selling Out?!? As I explained in the video below, this disconnect between supposed spending cuts and actual spending increases is the result of politicians creating a system where a spending increase can be called a “spending cut” if outlays don’t climb as fast as previously planned. This “baseline” or “current services” budgeting is a great gimmick for the politicians since they can simultaneously give more money to special interest groups while also telling voters that they are cutting the budget. Baseline budgeting is why all proposals spending cuts and spending restraints always amount to nothing. If a program is always going to grow at 6%–or whatever the number each year–how can there really be any decrease in spending? Simply, there can’. 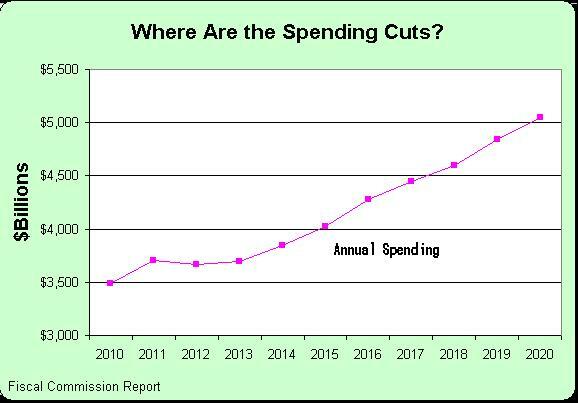 Politicians can say they are cutting spending but they are only really cutting the future growth of spending. All of the talk about higher taxes and lower spending is really pointless until this problem is resolved.